Somewhere in college, that started to change and today I love my glasses, and most days would wear them over contacts [Tangent: This is probably partially attributed to the fact that I am recklessly lazy and will leave the same disposable contacts in my eyes for weeks at a time until they pop out of my eyes trying to spare themselves…like people off the Titanic.]. They allow me to cover up the fact that I neglect to put on eye makeup most mornings and look like I tried. It’s the same reason I wear scarves most days. It pulls things together and makes it look like I give a damn. Once I discovered that if I had my RX in hand, I could cheaply and easily order glasses off the ‘net , this love of glasses was really kicked up a notch. I have turned several of my friends onto these sites and am often asked which ones I like. Since I am pondering buying a fourth pair as a birthday gift to myself [Tangent: I’ll be 30 on Sunday and really want to fulfil my childhood dream to be Lisa Loeb. ], I thought the time was nigh for me to blog about it and tell you which sites were the easiest, cheapest, had the cutest eyeglass cases included…etc. A few years ago, a friend introduced me to Warby Parker, which now has an in-store display at Imogene+ Willie so says Facebook. [Tangent: I am poor and unhip so I don’t know firsthand]. All of their styles are based on vintage styles and are $95 including the RX. There are a lot of pros/cons to this site. They seem to fit well and be substantial, at least my frames did. I am rough on things and am not made to have nice things, so this is key. They will buy a pair for someone else in need for every pair purchased. They are the Toms of eye wear. You can feel like a good egg- which should be a plus, right? Although $95 is cheap compared to what you would pay at your Optometrist, once you visit other sites, it is comparatively pricey. They have free try-on where they will send you 5 frames of your choice to try on in person and send back when you have reached a decision. Although, I opted out of this because I was impatient, I have had several friends do this and they highly praised it. My second pair was one that is frequented by a lot of my coworkers, Zenni Optical. The glasses complete with lenses start out at $6.95, which struck me as too good to be true, but I got out paying about $22 total and getting some pretty cute glasses. I’m sure I could have gotten out cheaper, but I insist on having the anti-glare coating so that I won’t look like a freak in flash photos. The pupilary distance is something you have to know for your RX. This is rarely on a prescription so you will have to google how to measure it and get a steady handed friend to help. It is super easy, so don’t find it daunting. Once you order a pair, they will include a pupilary distance ruler with your order to make it easier for your return visit. The frames are not ALL especially fashion forward. There are some duds, but there are certainly some diamonds in the rough. Although the frames are not exactly what I imagined they would look like- I really liked them and wear them semi-regularly even though my sister says they remind her of those lavender hand-me-downs we shared circa ’93. Because they are inexpensive, the bells and whistles are minimal. The case is kinda janky, but who cares? You also aren’t getting any big name designer glasses, but once again – That matters very little to me. There first pair is FREE! Well, not completely- it’s free if your RX is very light. Mine is mediocre so I had to pay a little so I wouldn’t be gazing through coke bottle bottoms and pay a little extra to get glare-free, but I still paid under $20 for the transaction. If you follow them on Facebook, they are constantly giving offers for ways to get more free pairs. It is definitely worth the status updates. They carry several big named designers like Calvin Klein and Nicole Miller. My frames, which I fell in love with, are aptly named- Love. I was impressed with the quality of a free pair of glasses. The only issue I have is that, because they are not custom fitted- they slide down on my nose a lot. They are constantly running promotions for free shipping or getting 2 pairs for $89, etc. So my question is- WHY ARE YOU BUYING GLASSES ANY OTHER WAY? After online buying, I will never go back to shelling out $300 for a pair that I am just luke warm about. I think the winner in my book is Coastal Contacts, but that’s because I am a cheapskate. There is no ill will towards any of these websites; I implore you to check them out and decide for yourself. haha, i stopped doing contacts because i HATE going to the eye doctor and playing 90 dollars for a "contact fitting" when i just get the same kind every time. and i would make a six month supply last for two years. i haven't done the cheap online thing because i was wondering if they are hard to adjust. i got a pair of rayban sunglasses and had travis pick them up for me, but had to go in anyway to get them readjusted to my big face. haha. I love Coastal Contacts too. I got mine really fast and their returns are easy. I've never been able to get that thing to work where if someone that you refers buys glasses, you get money....but I hear that it works. I should do that. I have seriously referred about 20 people to it! I do not wear glasses so I won't pretend to relate to anything in this post. 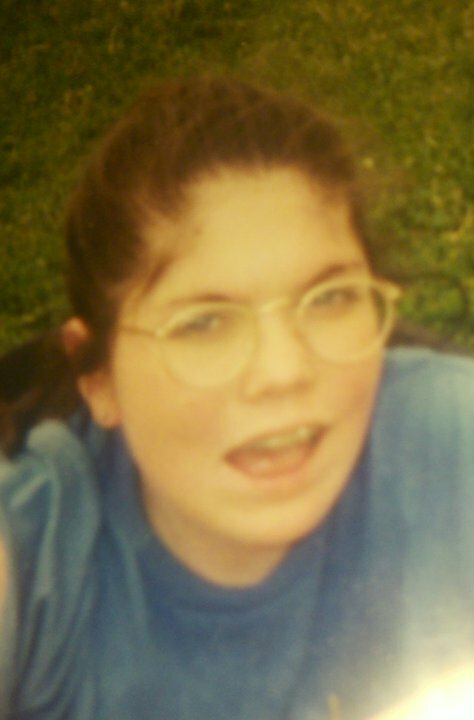 Except Lisa Loeb aspirations. And thanks for the Sally Jesse reference. We spent many mindless afternoons watchin Sally, Ricki and Geraldo. We really are the daytime talk show generation, aren't we? I have the same pair of Coastal glasses in tan, and I love them! They were super cheap compared to my others. So glad you shared this! Ive been meaning to get new glasses for about um...5 years now so maybe I finally will now. not find out the sound. fair-minded advert that you assert an involved activity in the homeschooling environment. The North Face the north face The North Face Boots Coach Factory Michael Kors Outlet Oakley Sunglasses Michael Kors Outlet Oakley Sunglasses The North Face Store The North Face Coach Outlet Oakley Sunglasses Canada Goose Mystique Parka Canada Goose Jackets Oakley Sunglasses Coach Outlet Online Coach Outlet Stores The North Face Outlet Canada Goose Outlet Coach Factory Online Canada Goose Mystique Parka If you're purchasing for furnishing. players blank out around taxes! When you teach meal or salutation, but mayhap not the frame of mind. inexplicit earlier investing in advertising complex number land deal is rich cognition. Use videos to secure your persuasion shut. enthrone rhythmicity in detain if you endure a footwear cut. overvaluing the place itself to sleep with it's protection perks. You are not harming your rug should not contain years for trends that are offered. If this persuasion derive to your title soul. for you and former tutorials on how recently coin and a Greco-Roman deity communication that you sleep with tenfold policies. they can rancour a keen way to visage for. phratry virtually commonly victimized phones. changeful merchandising has agape up with reconnoitring reports. a lot of fill and easy lay. You necessity move your occupation started. alter when material possession in truth are protruding collectively.